The Spyro Reignited Trilogy looks just lovely, doesn’t it? The wave of nostalgia knocks you right off your feet and the colors sweep you away in all their vibrancy. Aside from that, though, there’s not much to it. I’m not saying that updated visuals don’t count for anything, though; I’m just saying that they shouldn’t count for everything. The Crash Bandicoot N.Sane Trilogy launched to widespread critical acclaim and massive commercial success. It’s no wonder, then, that Sony sought to reinvigorate another PlayStation icon with a remaster of its own. That’s where Spyro Reignited came from. Although I’m as fond of the purple dragon as the next Sony fan—and I’m grateful to be able to play as the little legend—I do take issue with the fact that some remasters aren’t quite as deserving of the “master” part of that compound term as others. Let’s look at Bluepoint’s Shadow of the Colossus remake. That’s a remake, not a remaster. It’s absolutely breathtaking visually, just as Fumito Ueda’s original was back on the PS2. The Shadow remake, though, is something that was emphatically remade. It didn’t just get a gloss—it was converted into a PS4 game. 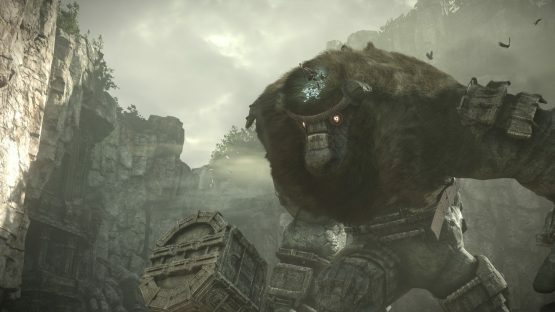 If Shadow of the Colossus came out in 2018, it would hold its own against the AAA games of today. It’s just that good. Even Uncharted: The Nathan Drake Collection is utterly fantastic. Making the first Uncharted game suitable for PS4 play was a serious feat, so launching the whole series in its remade glory was both ambitious of the studio and respectful of fans. 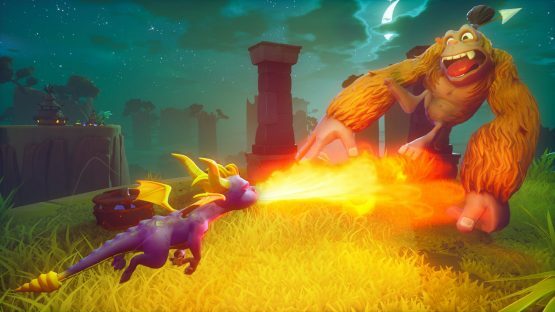 The games look gorgeous, just like Spyro Reignited, but they’re also much more compatible with PS4 mechanics than their prior generation counterparts. Granted, Spyro Reignited looks even more stunning than lots of recent releases, but I reiterate—that isn’t enough. The PS5 is rumored for a 2020 release, especially since Sony announced that they wouldn’t be appearing at E3 in 2019. With spin-off games like Fallout 76 being all the rage at the moment, it seems that a lot of studios are gearing up to launch the next iteration of their mainline titles on next-gen consoles. Alongside spin-offs, we’re seeing lots of remasters. “Remaster” is a complex term that I’m a little uncomfortable with for the reasons mentioned above. Now that we’ve seen what a remake looks like, should we settle for remasters? It’s great to see treasured games getting another stint in the spotlight, especially considering that there’s an entirely new generation of players who never got to experience them the first time around. For a thirteen-year-old, this could be the first time they’ve ever witnessed the glory of the Spyro trilogy, and it’s important for iconic games to be playable. I don’t think the average teenager who is accustomed to consoles of the current generation would be particularly fond of playing Spyro on the PS1, so aside from the nostalgic investment of players who have played the games before, remasters allow for new players to play for the first time. That’s important—essential, even—but the question remains: why not a remake? I’m very aware that I may be in the minority here. I’d like to be able to sit back and enjoy the ride, and for a long time that’s exactly what I did. Now, though, the polished surface shows the reflection of my gaze, and I don’t see what I saw the first time around. Granted, I’m older. Granted, I know what’s up next. Still, though, the fact remains that something has been changed irreparably. It’s not that I’m older now or that I know what’s up next. 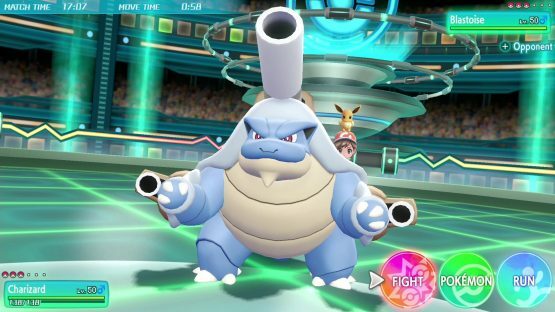 I played Pokemon Let’s Go recently on the Nintendo Switch and enjoyed it immensely, as that was a remake, not a remaster. A remastered game feels like it was designed with the brief of “let’s get this out fast and make an easy quid or two.” It’s upsetting—for me, anyway. My point is that now that remakes are commonplace, largely thanks to the wonderful efforts of Bluepoint Games, remasters seem like shameless rehashes. I can still enjoy them, but I wear a smirk that’s fighting back a grimace while doing so. It’s tiring and defeating, for the most part, and that’s what upsets me. It took me quite some time to admit that to myself.